The Cult Classics Hall of Fame gets some new inductees this spring and over the course of the next few days, NECAonline reveals the complete line-up for Hall of Fame Series 3! 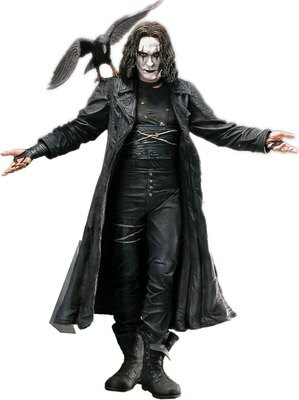 Up first, from the classic revenge-horror-action-romance masterpiece The Crow comes Eric Draven, sporting a pose that has become iconic to countless Crow fans. Shirtless, arms spread, with full Crow makeup and his trademark black guitar slung on his back, this new figure is a haunting version of the undead anti-hero. Eric comes with a brand-new Crow on Fire display base and multiple points of articulation. Take a look at our first official photos and make sure to check back at NECAonline for the latest updates on Cult Classics action figures and more!